A Hospitalist is a dedicated physician or advanced practice provider (APP) who specializes in treating patients in a hospital setting. 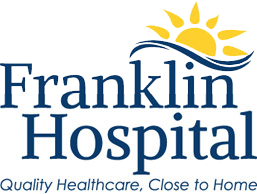 Franklin Hospital's Adult Hospitalist Physicians are internal medicine specialists. What are the benefits of care from a Hospitalist? Because Hospitalists specialize in hospital medicine, studies have found that patients treated by Hospitalists do better than hospitalized patients treated by their regular doctors. Hospitalists are familiar with the hospital staff and specialist physicians, as well as with the hospital's policies and procedures. This ensures that the highest quality of care is provided to each patient. Following a patient's release, he or she will return to the care of his or her own healthcare provider. Hospitalists are available to Franklin Hospital's patients 24 hours a day, seven days a week, providing the focused attention required to coordinate the best possible patient care. The Hospitalist monitors your progress and communicates with you, your family and your primary care physician. During your stay at Franklin Hospital, you will receive most of your care from our Hospitalist APP, Kathy Laird, Acute Care Nurse Practitioner. In addition, a Hospitalist physician from SSM Health Mt. Vernon makes daily rounds, seven days per week, in our inpatient unit. These Hospitalist providers make daily bedside visits, and communicate with your regular doctor and other Franklin Hospital specialists as needed. In addition to daily rounds, the SSM Health Hospitalist Physicians are available for consultation 24/7 with our nursing staff should the need arise. When you are discharged, your Hospitalist will receive and summarize your treatment with your personal doctor to ensure there is seamless continuity of care. If you do not have a primary care physician, your Hospitalist and Franklin Hospital discharge planner will refer you to a local clinic for follow up care and coordinate treatment with that clinic.